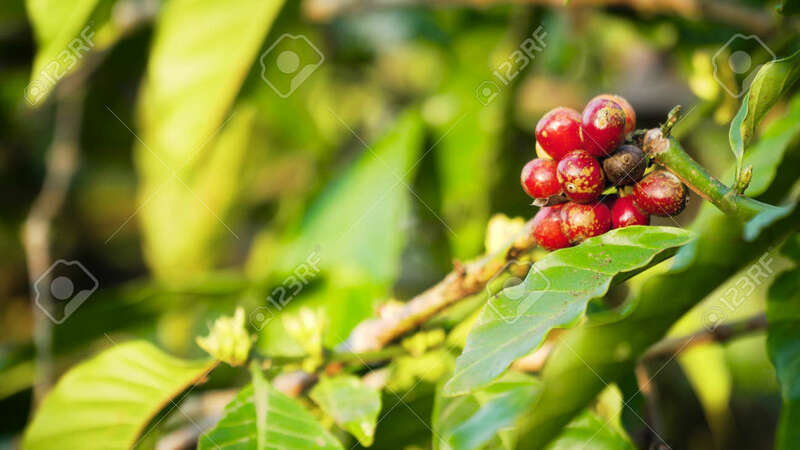 Coffee Beans Ripening On Branch Coffee Tree. Coffee Farm And Plantation On Indonesia. Red Coffee Berries Lizenzfreie Fotos, Bilder Und Stock Fotografie. Image 115257391.